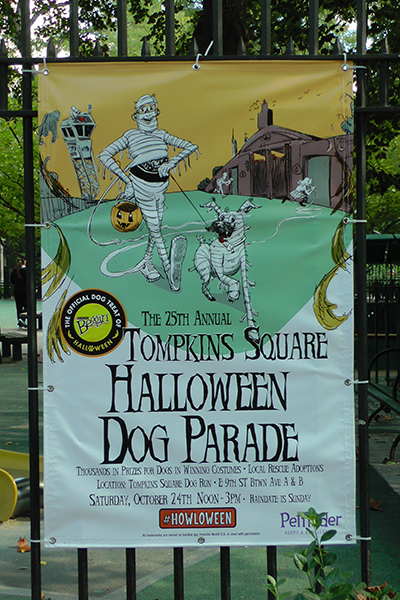 25th Annual Halloween Dog Parade. The dog parade is probably the single-most popular event in the East Village social calendar! I think it's safe to say that not one sane person dislikes the dog parade (which means probably 5,000 East Villagers don't!). Be that as it may, the sane ones among us will all be there to cheer the dogs on to victory! Go, Dogs, Go… in the East Village Today!